RPAYC have won the World Youth Match Racing Championship in New Caledonia! A huge congrats to Will Dargaville James Farquharson Sarah Parker and Josh Dawson supported by Club Coach Tom Spithill defeating Harry Price from the CYCA 3 race to 1! Photo courtesy Tom Spithill - at presentation, June 18, 2016, with trophy. Will Dargaville and his crew from the Royal Prince Alfred Yacht Club emerged from an All-Australian final to take the 2016 Youth Match Racing Championship in Noumea, New Caledonia. Will Dargaville, Sarah Parker, Josh Dawson and James Farquharson and coach Tom Spithill, brother of America's Cup skipper Jimmy, leapt into the lee of Ilôt Maître as champions after overcoming compatriots Harry Price, Angus Williams and Ben Robinson in three finals matches. Talking of the win, Dargaville said, "It is a wonderful win against a crew that we know well and that we thought were better than us…until now." France's Robin Follin and his crew of Marine Boudot, Germain Gaultier and Bruno Mourniac took third place overall. In the Petit Final, they beat the local New Caledonian crew of Cyril Fortin, Kim Goetz and Jeremy Picot 2-0. The New Caledonians fourth place was an unexpected result at a world championship as they came in to the regatta as rank outsiders. A very good performance, but tainted with disappointment, nonetheless. Two to one up and leading in the fourth match, the home crew finally succumb to eventual winner Will Dargaville who used his experience to win and progress for his chance at the title. A chance he took. The Youth Match Racing World Championship was hosted this year by the Cercle Nautique Calédonien (CNC). Ten teams competed in Elliott 6m keelboats at the Îlot Maître resort in Nouméa, New Caledonia, a French Island in the South Pacific, from 14th–18th June. If you were out on the estuary yesterday the sight of these beautiful flyers would have been one of the best visions going. 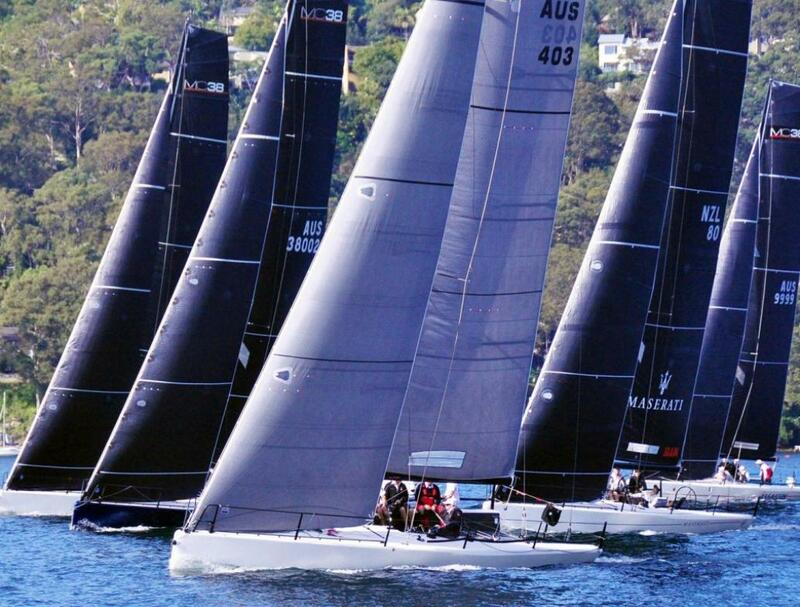 The MC38 Winter regatta, hosted by the Royal Prince Alfred Yacht Club and being raced on Pittwater over this weekend, is testament to what speed melded with grace is all about. Well worth finding a Pittwater-side seat should you have the opportunity to today. 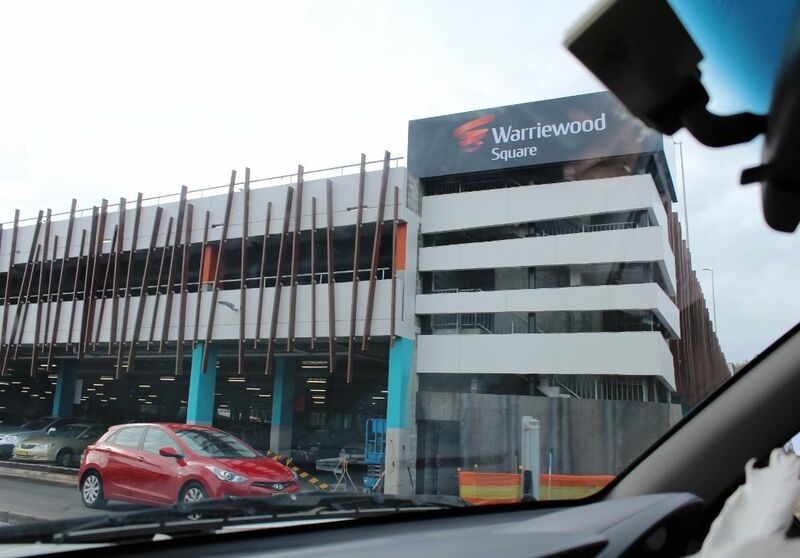 Warriewood Square's website invites all to their Grand Opening this coming Thursday June 23rd, or to pop in and have a look throughout the following days. 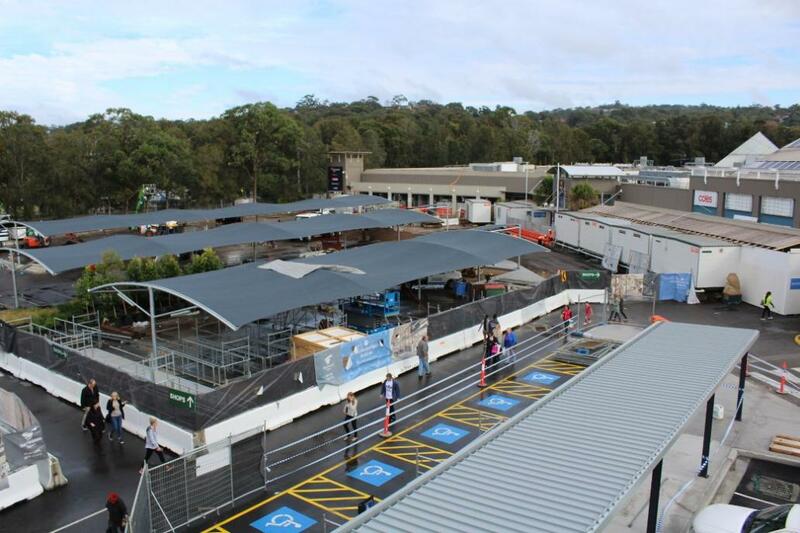 Upgrades at this popular local shopping centre include a new car park, with 3 levels and 700+ car spaces, over 30 new stores, including Aldi, Amart Sports and Cotton:On Mega, new parents rooms and amenities, and a revitalised food court. All systems were go in the area adjacent to the shops on Saturday, June 18, finishing off the new works, while inside the complex, a few new stores were already open and others clearly on their way. 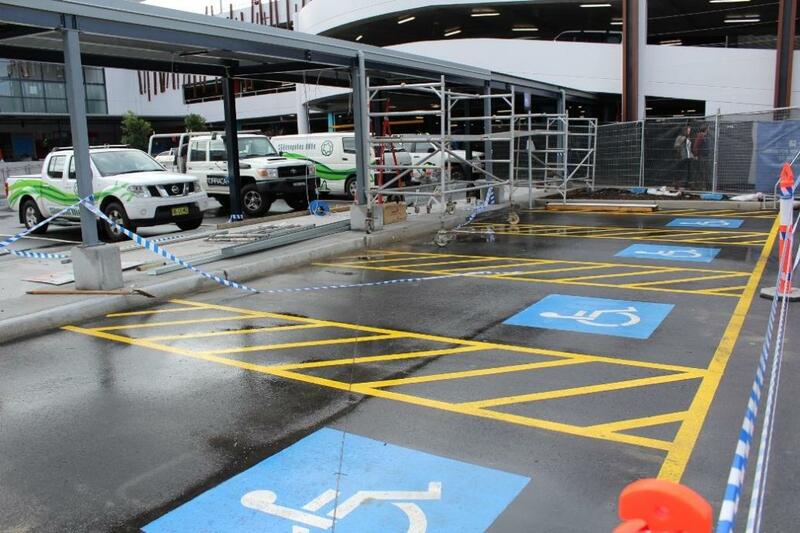 Weekend mornings, with sports fields alongside in full swing, can test the parking of any shopping centre but spaces were found easily on the second level and a new lift means there's no need to take risks with incoming or outgoing traffic. With sales time in full swing, those who have avoided 'the SQ' during construction time, may want to revisit soon. Our favourite from yesterday - this new area photographed below tells the picture! Council is currently working on a backlog of requests for removal of excess vegetation lost from garden during the June 4 to 7 Winter storm. 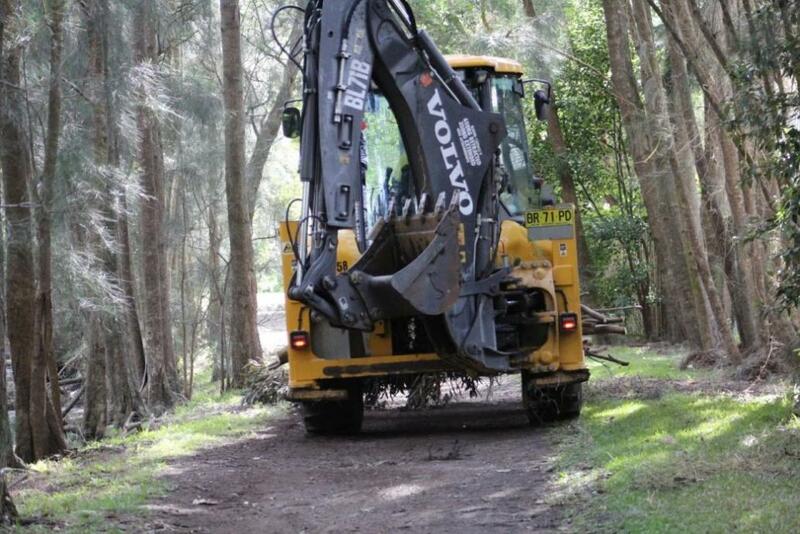 Public areas, paths, walkways, parks, ramps and foreshore areas have been the focus in Pittwater. 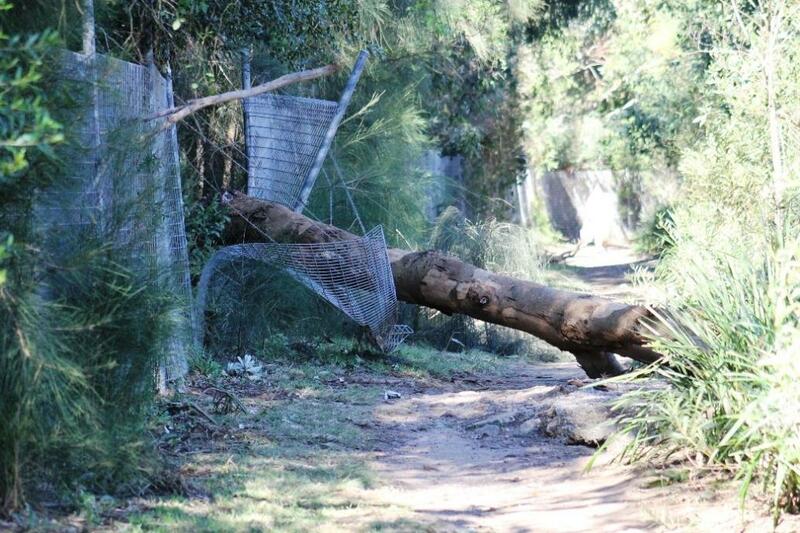 A website page, listing answers to questions, states Pittwater Park's beach is still closed. You can visit this Storm Recovery webpage here. 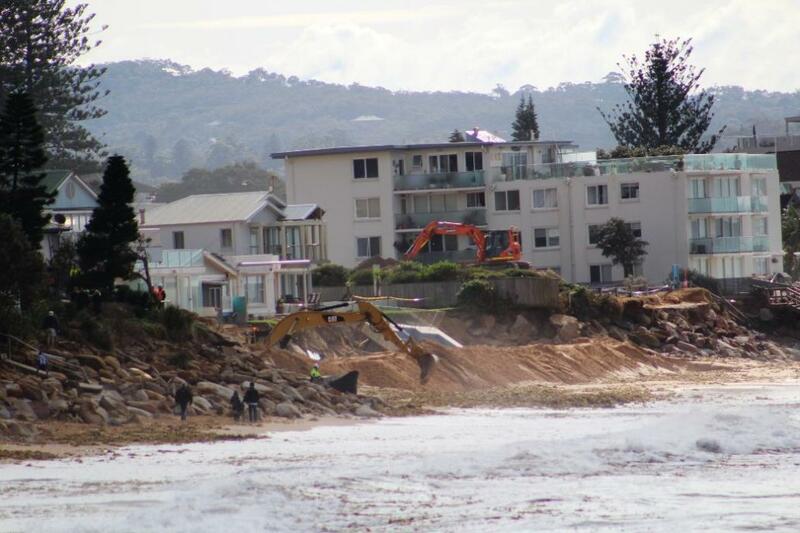 Private Property on the beachfront at Collaroy, with above average Winter rainfall forecast by the Bureau of Meteorology which may bring more storm surges and erosion, was yesterday being fortified - as these pictures below indicate. 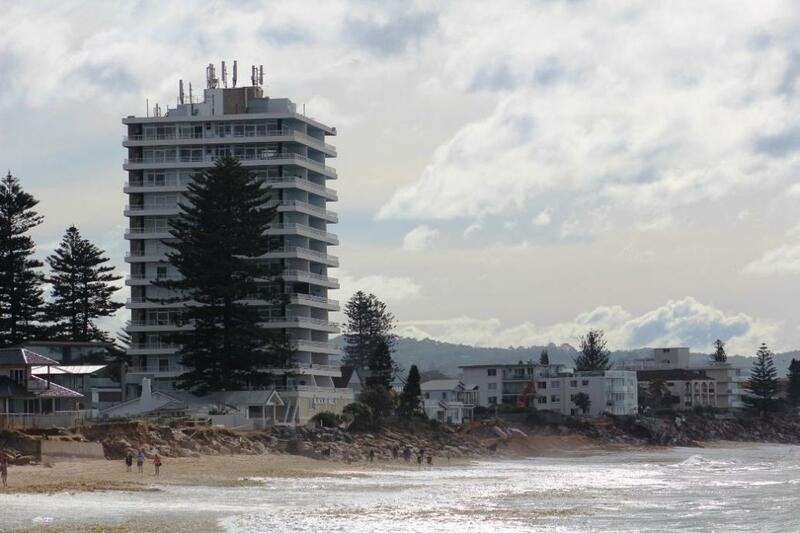 Parts of this Act have recently been superseded by the now assented Coastal Management Bill 2016. 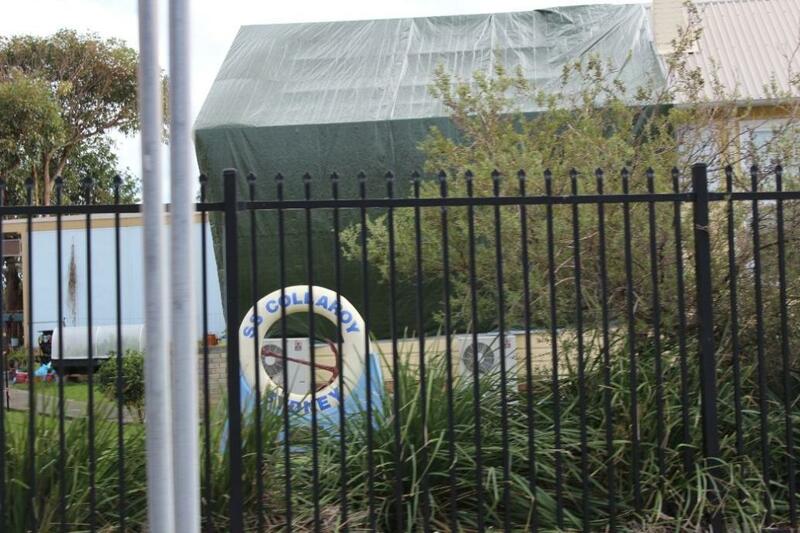 The Storm Recovery webpage also advises that a DA will be required for those wishing to a build a seawall. A radar check on the BOM website as we go to publication (4 a.m. June 19) shows a strong wind warning for the Sydney coast and severe weather for the Illawarra and South Coast from Sunday evening through to Monday morning. A rain trough is currently moving from southern Queensland into northern NSW. The low is expected to move south to southeast during Sunday and cross central or southern parts of the coast Sunday night and intensify into an East Coast Low before moving rapidly to the south during Monday. Flooding may occur as a result. 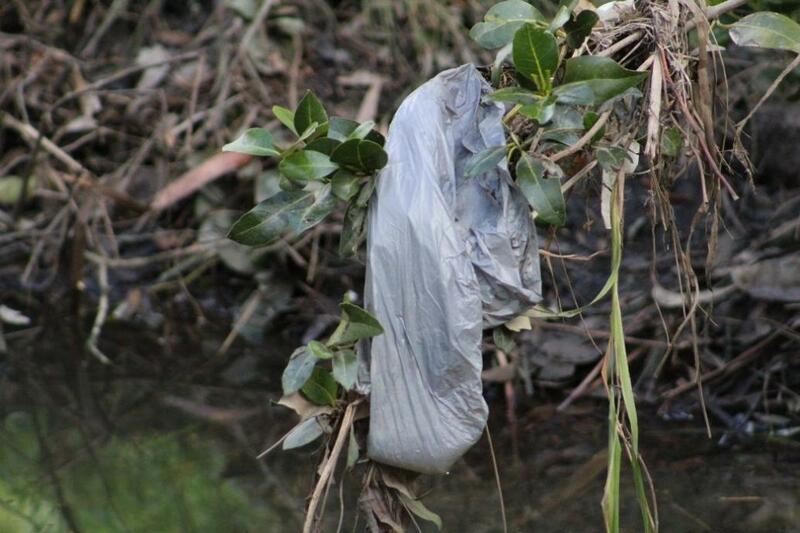 One-use plastic bag caught in mangroves at Careel Creek this week. Every day plastic bags are retrieved from our creeks, the estuary and along our beaches. Those that aren't found before they disintegrate are killing everything in the creeks, the estuary and ocean. Boomerang Bags is a non-for-profit initiative to help free Avalon Beach of these single use plastic bags. Over the past 15 months local residents have been busy sewing and collecting bags which are labelled Borrow and Bring Back. These bags are being housed in 7 boxes around Avalon for shoppers to Borrow and Bring Back. This initiative results in lessening the impact of plastic pollution entering our beautiful beaches, parks and waterways throughout our community. Each Boomerang Bag used will save 500 to 600 plastic bags being used in a year and could result in the above being something we cease to see. Next Saturday, June 25th, a Launch event is being held at Avalon Recreation Centre. This will include music, a beach clean at 9.30 a.m. and children's activities. 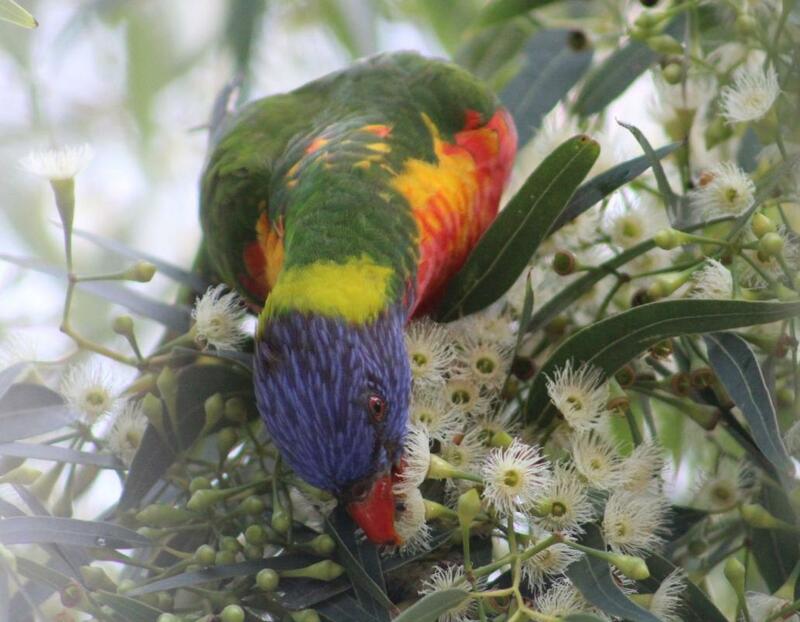 The launch ceremony will take place at 11 a.m.
Winter is flowering time for Eucalyptus robusta, commonly known as the swamp mahogany, and a nectar feast for the birds. Picture by A J Guesdon.